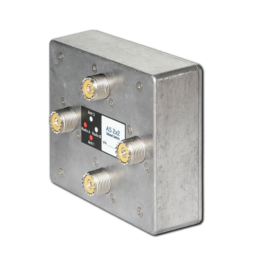 The AS2x2 is a 2×2 antenna switch designed to be used by 2 Radios and where they can share their antennas. 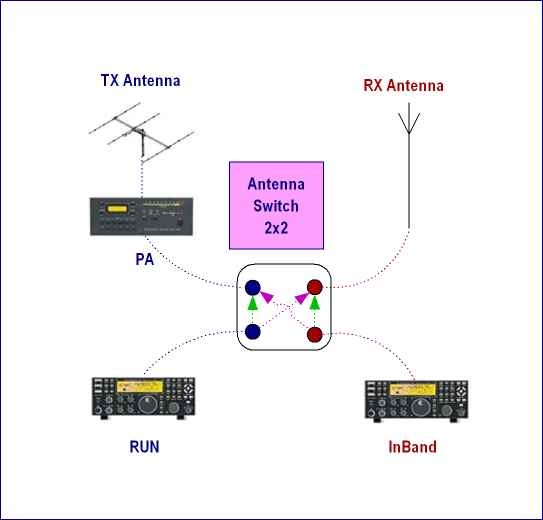 A typical application could be a contest station where there are 2 radios in the same band (RUN and InBand). By default the RUN uses the main antenna and the InBand uses a far away reception antenna. 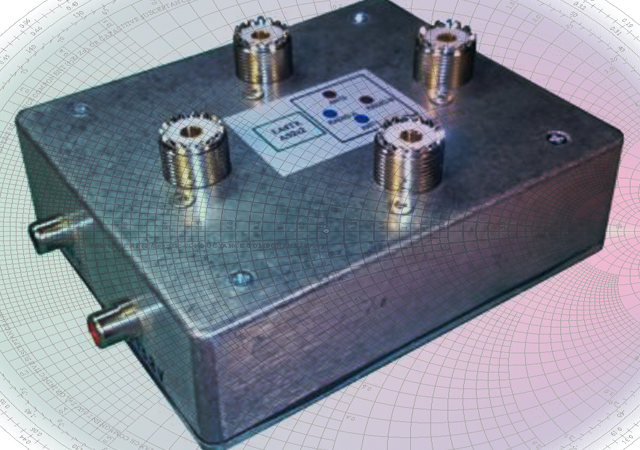 When the Inband need to make a QSO, the AS2x2 will exchange the antennas, so the InBand will use the main antenna meanwhile the RUN will use the reception antenna, so they can still listen their QRG. If a linear amplifier is used by the RUN, the Inband can also use it for his transmission. In this case, the AS2x2 is connected between the RUN and the Linea Amplifier.